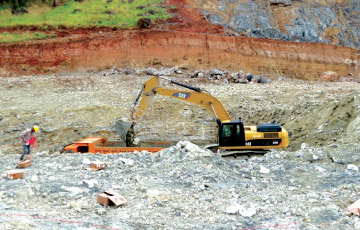 Construction of the Moragahakanda Project, Sri Lanka's largest hydro power generating venture, undertaken by the world's largest hydro electric company, Sinohydro Corporation of China is on schedule. Chinese engineers hope to deliver the project before July 2016, which is ahead of schedule. The expertise of the 50 year old company is having a major positive impact during the work and also the latest equipment some of which were seen for the first time, was also helping to speed up proceedings and be ahead of schedule. 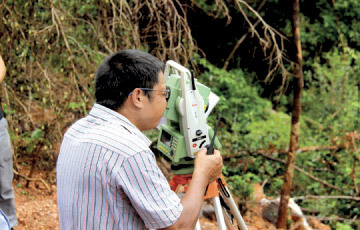 Chief Engineer, Sinohydro Corporation of China, Li Shizhong who is stationed in Sri Lanka along with a team of around 50 Chinese staff studying the project, said that they will commence construction of the 65 meters high dam and the saddle dam next month. The all needed infrastructure has now fallen in to place to make the final operation run smoothly. 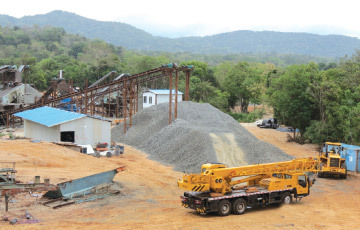 These include the site office, bridges, roads, workshop and the residential complex, works depot, metal crusher, cement mix and grinding plant. 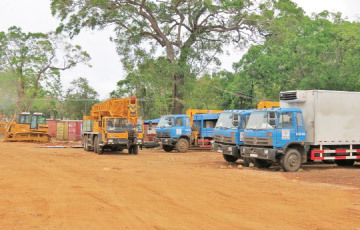 He said that since the commencement of work last year they were happy with the work so far and also the support and guidance they received from both the Mahaweli Authority and the Irrigation Department. Sinohydro Corporation of China, too have invested by way of HR recourse and bringing down the most updated heavy machinery. 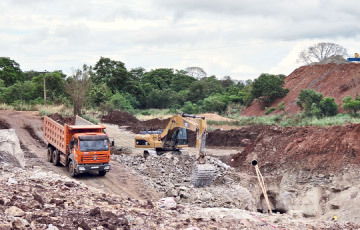 Shizhong said that one of the key decisions that the company took was firstly to maintain the picturesque environment at all times in the area and secondly award every possible sub contract to people who were relocated due to the project. “This has proved very successful and today one can see Sri Lankans working hand on hand with our staff in perfect harmony,” he said. As any other of their projects all over the world, he said that safety too was a prime concern and not a single major accident had been reported. Another advantage is that all the unskilled workers who worked in the site gain experience and now they were all skilled and could gain employment anywhere in the world. 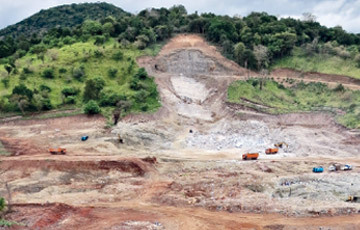 Moragahakanda and Kaluganga Development Project is the largest reservoir project to be taken up for development under the Mahaweli River Development Programme and also includes the construction of second reservoir across Kaluganga.